2018 marks the 36th anniversary of the Genesis Foundation for Children, which began as the Genesis Fund with Dr. Murray Feingold. 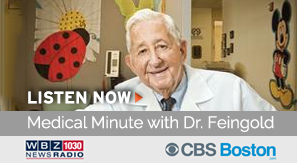 Dr. Feingold pioneered an exciting, novel way to provide medical care for children with physiological, intellectual, and genetic challenges. Spending hours with patients and their families, who were oftentimes facing complex and rare medical issues. Creating a team of coordinators to schedule patient visits with specialists at convenient times for the parents, ideally on the same day so that they wouldn’t have to quit their jobs (or get fired) because of multiple absences. Working tirelessly to provide accurate diagnoses, pressing his colleagues on behalf of his patients and parents, who often agonized over the lack of a diagnosis. Convening the specialists to meet with one another and the parents to determine together the best course of action. The Feingold Center for Children at the Waltham campus of Boston Children’s Hospital, under the extraordinary leadership of Dr. Catherine Nowak, continues to provide Dr. Feingold’s brand of “wraparound care.” And it is complemented by our Mother-to-Baby and Therapy and the Performing Arts programs. In total, we serve 2,000 children and families each year, an impossible accomplishment if not for the kindness of so many wonderful supporters like you. through our doors in the upcoming year. Thank you very much and best wishes for a healthy and happy 2019.